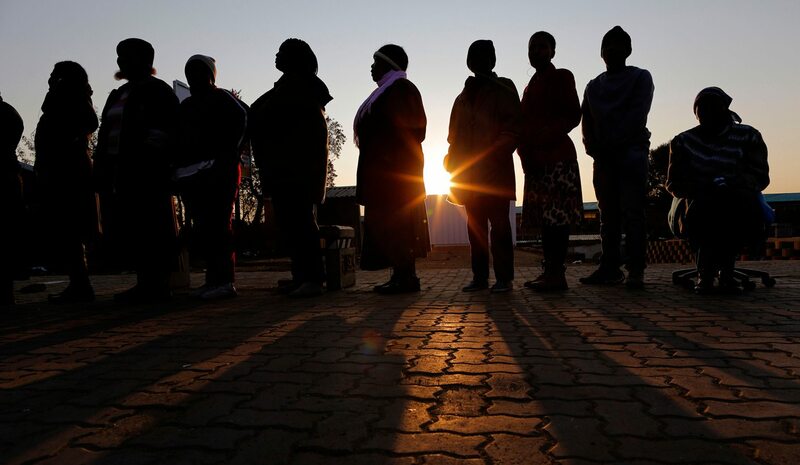 Op-Ed: When will South Africans learn that the ballot is mightier than the picket? Tomorrow, 7 April 2017, thousands of South Africans will take to the streets to allegedly save South Africa and to defend our democracy. Save South Africa marks it as the day for “a massive people’s push” and goes further to add that “united public protest is the only way to stop further state capture and to defend our democracy”. Civil society groupings have echoed the likes of Equal Education in urging their members “to participate in all mass actions aimed at freeing our country and defending our democracy from the shackles of the Guptas and Jacob Zuma”. But its the ballot that holds the real power. By GWEN NGWENYA. There have to date been seven motions of no confidence against Jacob Zuma, all of which have failed. At the most recent of these attempts 58 ANC MP’s did not vote, including the former Minister of Finance, Pravin Gordhan. What we know is that Zuma is a product of the ANC, bolstered throughout two terms in office by people who cheerfully, or through their silence, supported him. The so called “good guys” in the ANC can’t blame the mirror if they don’t like what they see. There is no nefarious third force conjuring up a mirage of cowardice, the mirror simply reflects what is before it. Fifty-eight MP’s who were probably suffering a crisis of conscience chose not to vote. To now call upon South Africans to mobilise against your own party’s failures is contemptuous and an egregious shifting of responsibility. An urban march, even with 100,000 people or more is not a national ballot. The democratically elected leader must step down off the back of an angry mob? That’s not democracy. If Zuma must go then he must be removed by South Africa’s elected representatives, who through a democratic process sit in Parliament vested with the will of the people. Friday’s march is the will of the people subjugated to well-meaning but confused business professionals, in hand with ANC sympathisers masquerading as civil society, and led by the Communist Party who have put on an act of victimhood and contrition so beguiling it beggars belief. South Africa’s Communist Party whose first guiding principle is to “end the system of capitalist exploitation in South Africa and establish a socialist society” is going to lead the charge to restore global investor confidence and calm in South Africa’s capital markets? That is what is set to take place in South Africa on Friday, mobilising in support of Communist Party members to save democracy and the economy. Even in a work of political fiction that narrative would appear to stretch the reader’s imagination too far. The step to any reform begins with the admission that this is not about one man and his cronies. The party cannot get away with the narrative of a “rogue” group vs the good group; 2009 was meant to rid the country of Thabo Mbeki’s cronyism, but the ANC’s patronage networks now make Mbeki look like he handed out lucky packets (children’s party favours) in comparison. And now we’re doing it again, being tricked into thinking if we purge one man and his closest acolytes all will be well. The corruption, Marikana, the under- resourcing of higher education, the deficient governance of state-owned enterprises, the investor hostile policies etc, they all happened under the governing party’s watch. South Africa was already teetering on the edge of an economic cliff before the reshuffle – we must be cognisant of how we got to so close to the edge, not just on what tipped us over. Pravin Gordhan kept South Africa on the cliff edge, largely through the art of persuasion; getting in front of investors and giving the right assurances. But given time persuasion would necessarily have given way to deliverables, and on that basis there is little to suggest Gordhan’s fiscal rescue mission would be a success. South Africa’s Public Expenditure Bill had increased, further funds were committed to dysfunctional state-owned enterprises and the taxpayer has been squeezed with little sign of future reprieve as growth projections were pitifully low. The danger then in deifying Gordhan and demonising Zuma is that the protest loses all legitimacy as being concerned about the future. The gravest threat to democracy is that many South Africans cannot break free of the ANC, and are doomed to engage in the theatre of freedom on the streets, but never experience the true protest that happens in the secret confines of the ballot box. It is an astonishing thought that over 20 years into democracy and after five national elections and five municipal elections, there are millions of people who are aggrieved with the ANC but have never experienced the transfer of political leadership. Not because they do not live in a democracy, but because they live in a democracy and are too scared to use it. So jarring is the idea of actually voting differently that Save South Africa can without hesitation pronounce that there is no other option but to march. If the would-be marchers really believe that in an elective system of representation the only option is to march on the streets then the foundations of democracy are severely eroded, and state capture is not to blame. Millions of South Africans are trapped in a self-imposed one-party state and all their leaders; in business, in civil society, in places of worship seem to be complicit in this ruse. It is the ruse, the idea that the ANC is both the source and solution of South Africa’s problems that is the most serious threat to democracy. South Africa can and will survive the hegemony of the ANC, and people must be very suspicious of journalists, public commentators and sectoral leaders who speak about saving democracy without speaking of the plurality of the political system. Those who want to lead marches but shy away from speaking of political alternatives peddle the idea that opposition politics are divisive. This is as good as suggesting that democracy is divisive, and is a misplaced sense of unity. We have elections, we vote parties in hopefully when they are “good” and we vote them out when they are “bad”, and we also vote them back in if they become good again. But it is not the citizens’ responsibility to save the ANC. ANC members must fix their own party, and we the voters should vote for them only when they do, not until they do. Nomboniso Gasa, a prolific commentator on South African Twitter, tweeted a suggestion to DA leader, Mmusi Maimane, that he should probably not be the one to convene a meeting with other party leaders, but have it led by “elders not in parties”. She then went on to suggest Anglican Archbishop Rev Thabo Makgoba as a convenor. Why should opposition parties lead a mediated process? The EFF, DA and others have not been voted in to help the ANC become the best version of itself. The post-apartheid treason of South Africa’s intellectuals is a book in need of being compiled, and it would come not a moment too soon. The DA and opposition parties should step back, and maybe we should all unify and encircle the ANC with love and understanding and give the good guys space to do the right thing? There is a battle of ideas that needs to be waged, and arguably some of our best minds are entrapped in the nostalgia of a pre-democracy UDF-type movement. South Africa has enough dreamers – we need doers, it is this sentimental hankering and hand-wringing which has led us here in the first place.